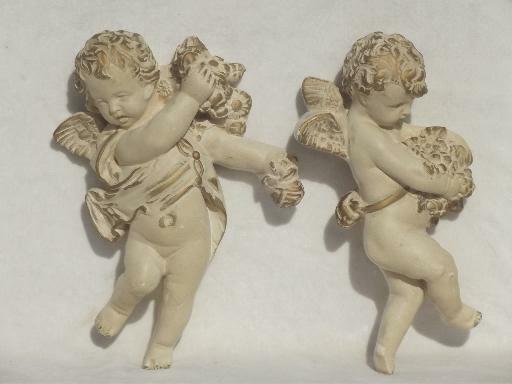 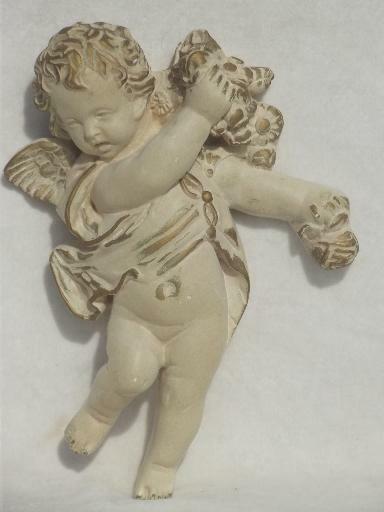 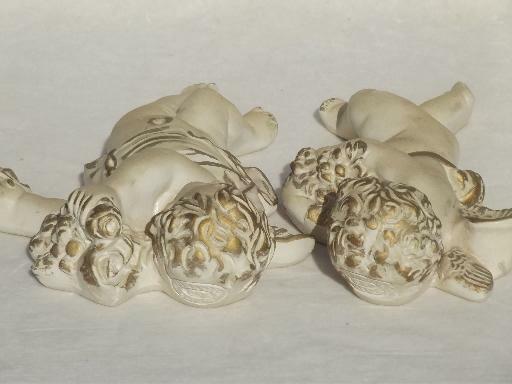 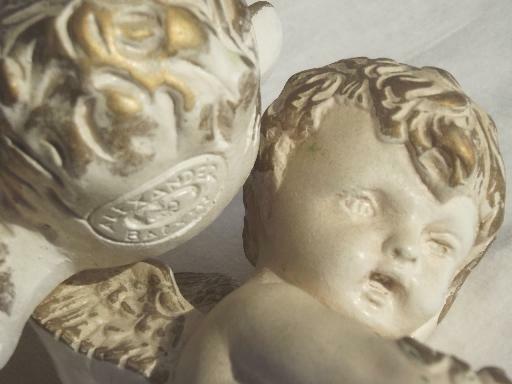 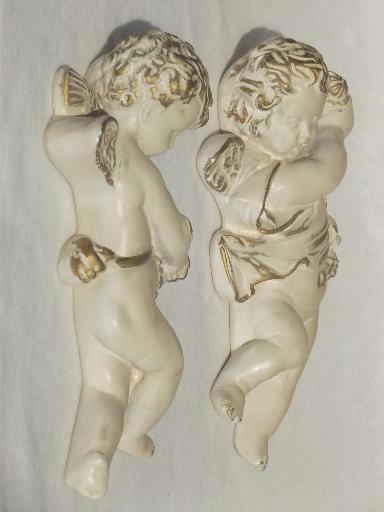 Pair of vintage cherubs, white and gold painted plaster, french style. 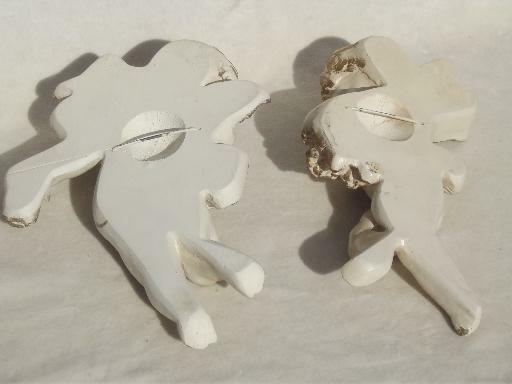 These are marked at the top behind the heads, Alexander Backer, I think? 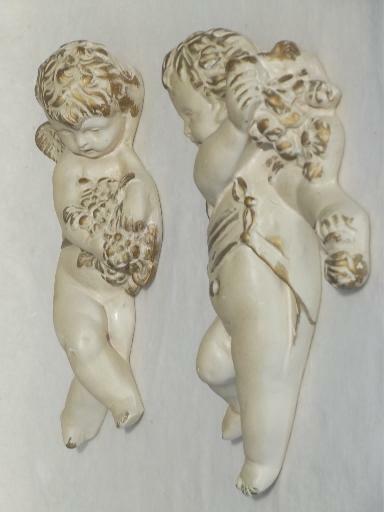 These are about 8 1/2" long, each with a hanger at the back. 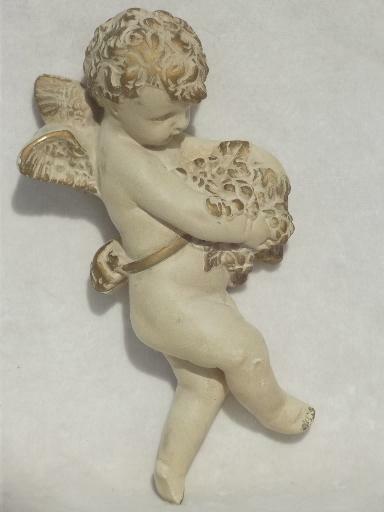 There's a little finish wear and a few little chips and dings to both of these pieces, which only adds to the antique look.